A Lone Star Western Decor Exclusive - This canvas print designed by Texas artist Eli Halpin expresses your unique ranch style with a bejeweled longhorn. Made in the USA. Allow 1 to 2 weeks. 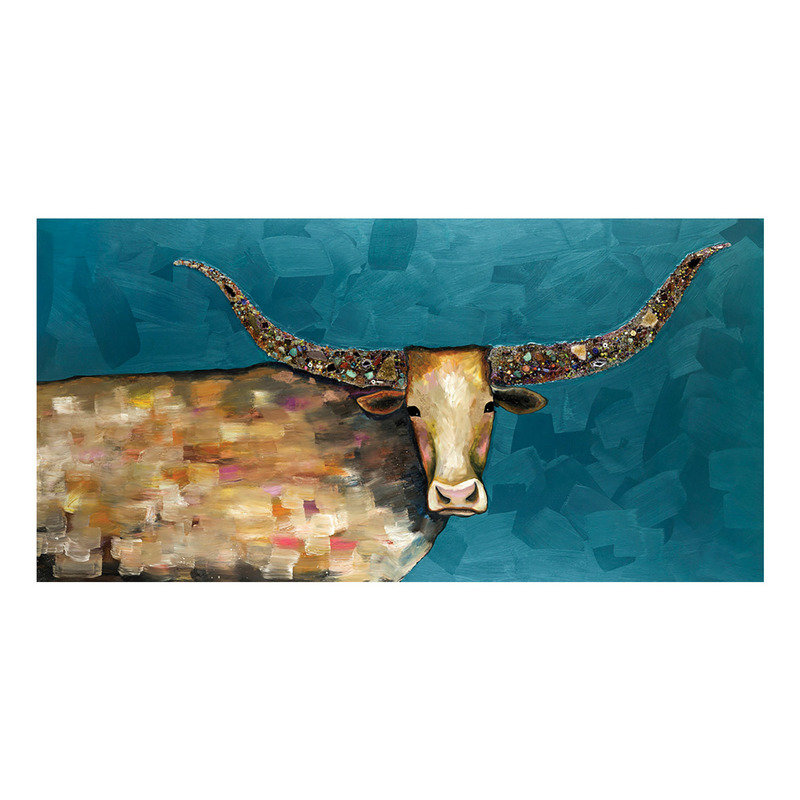 A Lone Star Western Decor Exclusive - This canvas print designed by Texas artist Eli Halpin expresses your unique ranch style with a bejeweled longhorn. Made in the USA. 24"W x 1 1/2"D x 12"H. Allow 1 to 2 weeks. A Lone Star Western Decor Exclusive - This canvas print designed by Texas artist Eli Halpin expresses your unique ranch style with a bejeweled longhorn. Made in the USA. 30"W x 1 1/2"D x 15"H. Allow 1 to 2 weeks. A Lone Star Western Decor Exclusive - This canvas print designed by Texas artist Eli Halpin expresses your unique ranch style with a bejeweled longhorn. Made in the USA. 36"W x 1 1/2"D x 18"H. Allow 1 to 2 weeks.